Order in the next 4 hours, 0 minutes and 2 seconds for same day shipping. 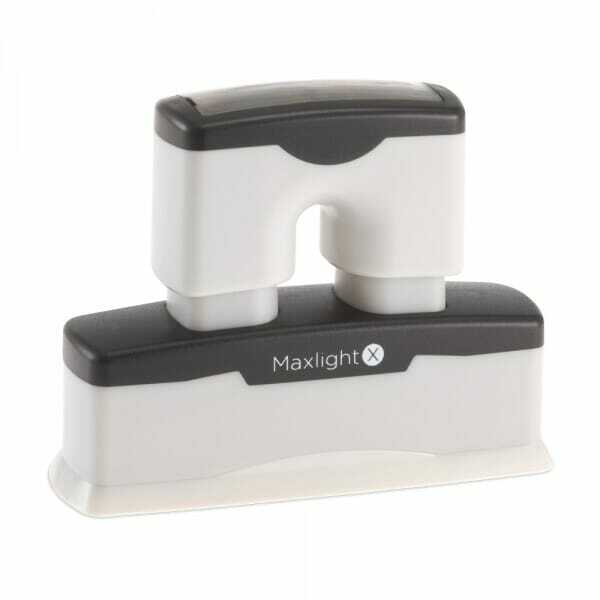 The MaxLight X5 pre-inked stamp has a maximum text plate size of 3/8" x 2-9/16" allowing you to create 1 or 2 lines of customized text. The X5 is the perfect 2-line stamp when you need your business name and account number to stamp on checks. Customer evaluation for "MaxLight X5 3/8" x 2-9/16" - 1 or 2 lines"